This makes the whole thing smell like a CIA fabrication. No. 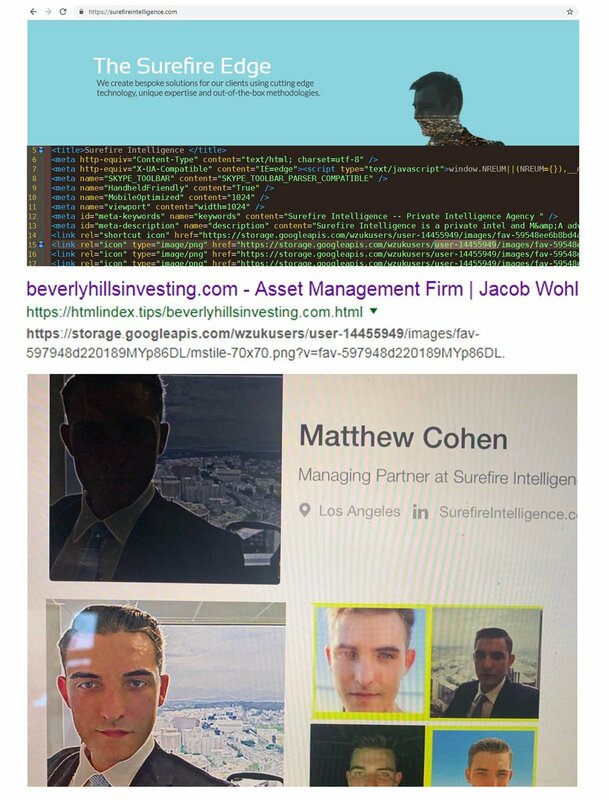 The whole thing appears to have been fabricated by Jacob Wohl (which was made clear if you read the article) and Jack Burkman (a conspiracy-peddling right wing lobbyist). I’ll never understand why people leave comments on articles they clearly didn’t even bother to read. Annoying. He deserved the wry reply, Matt. Don’t let them muddy the waters! I would hope the CIA is better at their jobs than this. Again you guys appear ahead of investigative agencies (FBI) at least for what they might state publicly. Your site is the one i go to when things smell off, and as this story was first reported, it immediately started to stink! What will people do for Trump is beyond imagination and I’m sure Mueller’s patience must be at his limit! Mueller appears to be man of great honour and I suspect the gloves are off now! I think they should consider rebranding as “BackFire Intelligence”. I looked at the case studies page (https://surefireintelligence.com/case-studies) and felt it was vaguely familiar. Then I remembered the disturbingly amoral and highfalutin claims of Harvey Wesinstein’s Black Cube. Similar layout, similar absurd claims. So apparently there’s a press conference tomorrow where the alleged victim will be appearing. But commenters here have informed me that it’s been proven no alleged victim exists, or alternatively that the victim has denied anything took place. So who will be at the press conference then? Any sensible answers? Oh wait, I’m on bellingcat. They are completely discredited by their own actions and lies. Trying to pretend that what they are talking about has any merit is just fascinating. How do you explain away the made up company that supposedly investigated all of this? Or that the original claims were made that specified a place and date when Mueller was in another state? And so much more. Yes “concerned citizen” you are on BC, but only here to smear at BC and trolling and nothing else, and we all noticed that. Anyone else think we need to eliminate the far right completely? No. No one else thinks this. Because that is deranged. Actually, you’re wrong about that. History is littered with accounts of what happens to the far right every single time they try to have a revolution. No, because that is exactly what the “far-right” would do. Yes, what part of “failed entrapment plan following the plot of “Burn After Reading” is unclear? I have seen zero proof that there was any entrapment attempt. If you have any such proof, I’d love to see it. Can’t wait to see who turns up tomorrow. There seems no point in reading novels now. People seem happy to do ludicrously implausible things in real life. You have to have a shred of pity for Wohl though – the kid is 20. Trump may be made of teflon but those who help him definitely aren’t and their loyalty does not seem to be rewarded. Btw, another error present in their “résumés” is that undergraduate programs in europe lasts 3 years, not 4. Additionally, the name”Yuliya Karpov” has a female given name but a male family name. This is because it lacks the female -a suffix, like “Yuliya Karpova”.